This organic cotton childrens' duvet set features all over natural stars embroidery on a luxurious white 200 thread count organic cotton percale. Includes 2 pillow cases. 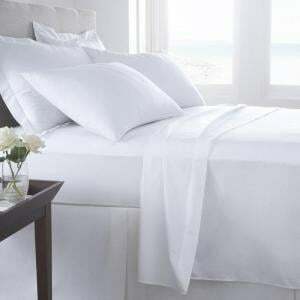 Our stylish Vermont white organic cotton plain dye sheet is made from a 200 thread count organic cotton percale and is fully combed to give a beautifu..